Just thirty days into 2019, the World Health Organization (WHO) made an alarming announcement. Vaccine hesitancy is now among its top threats to global health, with the number of measles cases increasing globally by 30%. Even more alarming, individual cases of the measles have been confirmed in ten states, with majority of these cases happening in our own back yard. As of March 4th, 2019, Washington State has had 71 confirmed cases of the measles and has declared a state of emergency. The measles is not your everyday mild rash that will clear with ointment. It’s an acute viral respiratory illness characterized with extremely high fever, and in some cases can lead to permanent brain damage or death, especially in children younger than 5 years of age. Measles is spread through the air and is extremely contagious. A rash usually appears about 14 days after a person is exposed and, the individual can remain contagious four days after the rash appears. Those at highest risk for measles tend to be infants and children under 5 years old, adults over 20 years of age, pregnant women, and people with compromised immune systems (e.g. by leukaemia or an HIV infection). 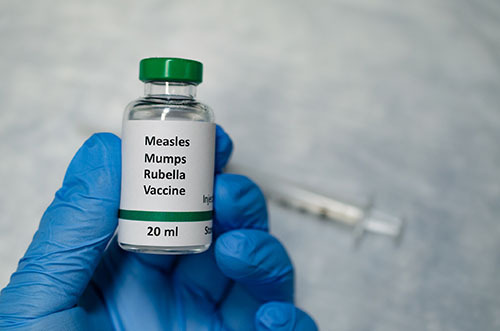 When given prior to any exposure to the disease, the measles-mumps-rubella (MMR) vaccine is effective at preventing and protecting from all strains of the measles. Most of the public are not contemplating immunization unless they are enrolling a child in school, attending college, or considering international travel. However, according to the National Conference of State Legislatures, all states require immunizations for children to attend school, while 47 states allow parents to skip vaccines if they have religious beliefs against immunizations (including Alaska). Among those 47 states, 18 also allow parents to opt out of vaccines if they have personal, moral, or philosophical beliefs against immunizations. Washington and Oregon are two of those 18 states. In Washington, the focus now for the State Legislature is to review the exemption laws for vaccinations, as well as increase vaccination rates. Although vaccines have been proven safe when administered correctly and do not cause neurological disorders like Autism, they are not without some risks. Over the years, healthcare facilities have encountered a wide variety of claims, spanning from medical malpractice cases and product liability claims, to religious discrimination cases from both patients and employees. So what can you do, personally and organizationally, to protect your community, increase vaccination rates, and reduce potential liability? Review and refine hospital policies and procedures related to the handling and use of vaccinations. Create a clear, single source of information for employees to reference, including pre and post vaccinations steps. Ensure your post vaccination plan provides instructions for adverse vaccination reporting to the Vaccine Adverse Event Reporting System (VAERS) and prompt reporting of confirmed cases to local health jurisdictions. Visit the Washington Department of Health website for more information on reporting and surveillance (www.doh.wa.gov). Identify those patients, prior to coming into the clinic, who will require vaccines and be prepared to have a conversation. According to the Center for Disease Control and Prevention (CDC), a majority of measles cases are either those who are not vaccinated or have not completed their second dose. Develop a clear script for providers to follow. According to an article from the American Medical Associations, 25% of physicians believe adult vaccination recommendations are too difficult for patients to follow. Prepare and offer informational handouts, in plain speech and multiple languages, for the patients to take home. Test these document/scripts with patients to better understand potential misconceptions and modify as needed. You can also visit the CDC website, or Washington Department of Health website, for healthcare provider resources. Educate staff and patients as much as possible on the importance of vaccinations. Everyone in the organization, from the front desk to physicians should be conveying the same message. Consistently train staff on appropriate messaging regarding vaccination importance, and reward those staff members who participate. Keep track and document vaccinations in the patient’s medical record. Documentation must include the date or receipt, time, vaccine, vaccine batch number, manufacturer’s name, consent process including the type of informational sheet provided, and whether an interpreter was used. This will also help reduce the number of wasted and lost vaccines, which could have a direct financial impact. See Washington Department of Health website for Certificate of Immunization templates by age. Consider use of a special consent for vaccinations. Administering a vaccination could be legally considered a medical intervention with some risk of injury or death. Although law requires the distribution of a vaccine information sheet (VIS) when certain vaccines are administered, a special consent form may not be required by federal or state statute. The use of a special consent form can be an additional tool to aid patient education and provide proof of discussion surrounding possible benefits, risks, and alternative treatment options as possible consequences of refusing vaccine administration. Post signs at all entry points of buildings. 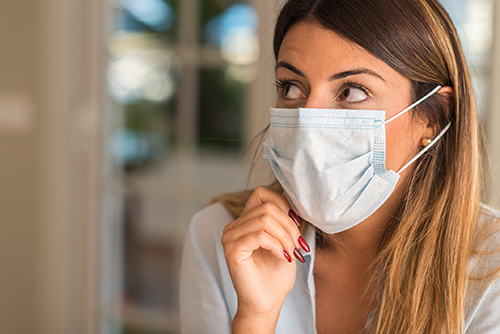 Patients who may be symptomatic should be directed to wear a mask before entering the building to help reduce the spread of disease. Consider use of telemedicine. Limit exposure to contagious individuals by providing a telemedicine consult option to patients who believe they are exhibiting signs and symptoms of the measles or are seeking additional information about the measles. Although a lab test is required to confirm the presence of the measles virus, telemedicine could help to reduce the number of patients entering the clinic and spreading the measles during their most contagious state. Monitor your organization’s social media for discouraging comments and encourage with educational material. Immunizations are a controversial subject with which some members of the public may strongly oppose. Do not attempt to argue with those who are against vaccinations, but rather use facts to educate. Understand your rights as both a healthcare provider and employer surrounding vaccinations. Although patients have a right to make their own healthcare decisions, vaccinations are mandatory for healthcare workers. Reduce the potential for discrimination cases by having a plan in place for those patients or employees who may decline vaccinations based on religious reasons. Responding to outbreaks such as the measles is not only costly for healthcare providers, it is costly to the State’s Department of Health. 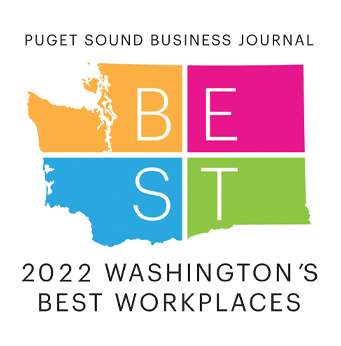 The Seattle Times recently published an article stating that the measles outbreak is predicted to cost Washington State more than $1 million dollars. Improving vaccination rates will not only improve the overall health of our community, it can have beneficial financial incentives. Contact an experienced risk manager or insurance broker on more ways to mitigate or transfer this risk.